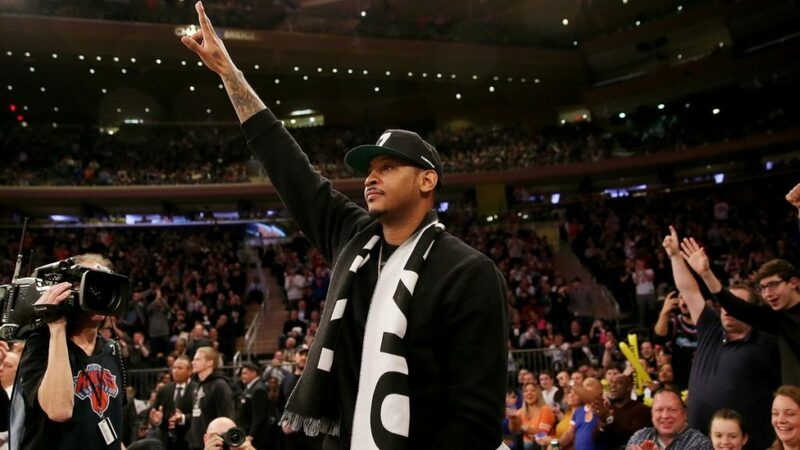 Has Carmelo Anthony Played His Final NBA Game? It’s rare that a player with a career and the fame of Carmelo Anthony is unaware of being in the midst of his final NBA season. Yet, we might be seeing it, although he’s not really taking any part in it. Anthony, waived by the Chicago Bulls just before the weekend, is in a place he never imagined he’d be – not at this point of his career, which has taken a downhill twist in a severity level we perhaps have never witnessed before. He was still an All-Star two years ago, finishing the 2016-2017 NBA season with 22.4 points per game. A disappointing (yet not unexpected) season with the Oklahoma City Thunder hit his stock hard, but the magnitude of the hit is difficult to fathom. The same player who mocked a reporter for asking him if it would benefit the team if he’d come off the bench has yet to play in an NBA game since November 8. If anyone signs him for the remainder of the 2018-2019 season, it’ll be his fifth team, after the Thunder (traded him in the summer), Atlanta Hawks (waived him), Houston Rockets (traded him) and Bulls (waived him). The Thunder were only the third team of his NBA career. The interest in Anthony is slim to none. The changes in what’s perceived as a useful NBA player make him obsolete, a dinosaur who can still score points, but his minuses in other areas of his game make it useless to put him on the court, especially for teams thinking about the playoffs. Yes, we keep hearing how the Los Angeles Lakers will be coming to the rescue, courtesy of his close friend LeBron James, but it’s just hard to imagine a serious basketball club that’s properly run adding Anthony into the mix at this juncture of the season. So has Anthony’s career, hall-of-fame worthy when you look at the numbers, consistency and longevity, ended with a 20-minute, 2-point performance that included 1-for-11 from the field. Symbolic one might say. Shambolic others will say as well. Perhaps it all goes back to the decision decision to re-sign with the New York Knicks. Taking as much money as possible, and maybe doing what’s right for himself as a family man, but not as a competitor, not as someone who talked about wanting to win championships. The trade to the Thunder, the signing by the Rockets – both at the time looked like gusts of wind trying to put him on the contender track once more, albeit in a different role. Turns out both, each in their own way, just magnified everything Anthony is not and can’t be in today’s game, and how without a change that perhaps is too late to make, his time in this league is over.